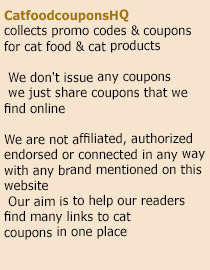 Tired of searching for that one store which offers great discounts on pet products? Running low on ideas on where to look? The Pet Supermarket is a one stop shop for products catering to various pets in the fraternity – be it cats, dogs, birds or even reptile. Pet supermarket is one of the leading stores where one can get all their recurrent pet supplies. It is only apt that one looks at discounts when it comes to products that need to be purchased on a regular basis. In this regard, the Pet supermarket scores high, given that the chain offers a range of discounts and coupons all through the year. For instance, Pet supermarket has an offer by the name pet scoop, which entitles you to a discount of $2 on any purchase of $10 or more! All you need to do is present the coupon in the store. The coupon can also be availed online by entering a code at checkout! Hurry, as the offer is valid only till the end of November, 2013! This entry was posted in Pet Supermarket. Bookmark the permalink.